This checklist is a printable resource with all the steps you'll need to create an exceptional LinkedIn Company Page. 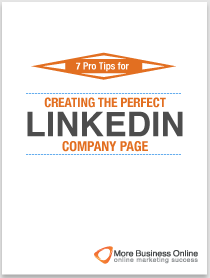 It’s designed to be used in conjunction with the ebook “A Visual Guide To Creating The Perfect LinkedIn Company Page”. Want a copy of this free ebook you can download it here or from the below CTA.